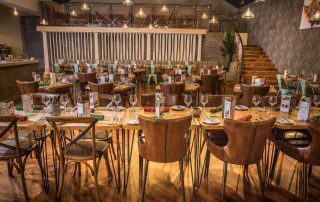 When bar and restaurant owner Tom Lord was set the task of creating something revolutionary for his home town of Burnley he plumped for a concept which had proved a winner for hundreds of years … in Brazil! Eureka! Bring on the Caipirinhas! 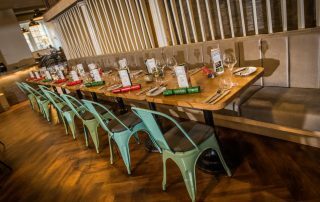 Tom’s brainwave was as rare as some of the meats he was about to serve … a Brazilian Rodizio steak house slap bang in the middle of Burnley’s nightlife quarter. 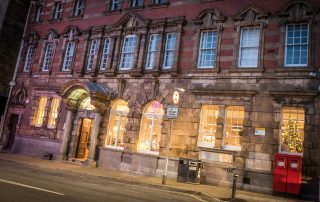 More than a century ago architect William Oldrieve designed possibly the town centre’s second most striking building after the town hall when he drew up the plans for the radiant red-brick main post office in Hargreaves Street. But little did old Bill know that 113 years later it would be the awesome home of the town’s newest and possibly trendiest restaurant. 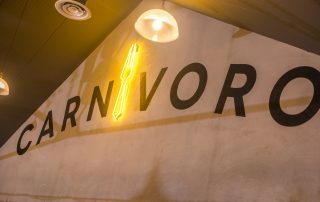 Carnivoro has brought a big city experience to the town and its unique offer in these parts of the North West is already pulling in diners from West Yorkshire, West Craven, Blackburn and Hyndburn and Greater Manchester. 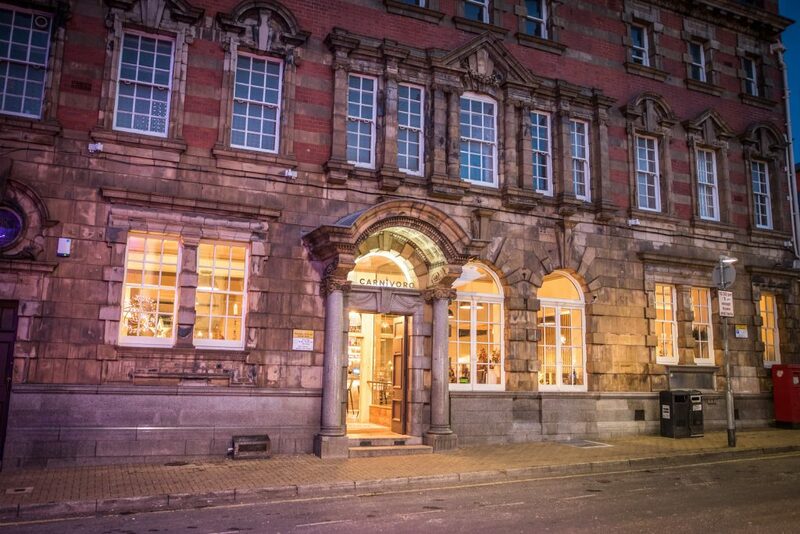 One of its most compelling features is actually the building which it calls home – the former main post office – where its giant barbeque grills fire up every day and night. 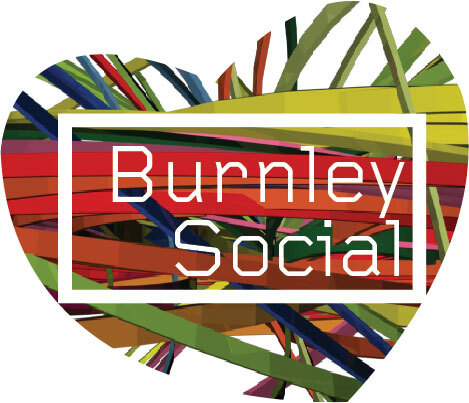 Tom already runs one of Burnley’s favourite eating and music bars Illuminati which is less than a Sirloin’s throw across Hargreaves Street. His buddy Andrew Cockroft had bought the building after it closed as the post office in 2014. But Andrew, who runs Envair Projects which designs and supplies clean rooms across the globe, was unsure what to do with it. Not exactly his bag. So, enter Tom. 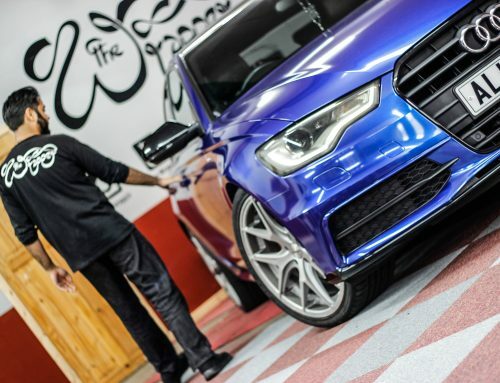 A 29-year-old entrepreneur who as well as Illuminati also owns a building that houses a car showroom in Barrowford and whose girlfriend Freya Farrington is a top lifestyle blogger in the region with a reach of 28,000 on Instagram and 22,000 subscribers on YouTube. A couple in tune with what ticks and what tocks. Tom explained: “Andrew took over the building and wasn’t clear what he should do with it. He thought about a wine bar. I didn’t think a wine bar would be a sound long-term investment plan. 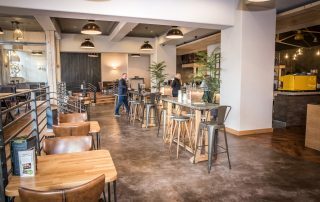 Wine bars come and go. “I wanted to do something different. Something unique. Something new to the area and something that would pull in people of all ages from not just locally but all the surrounding area. “So I then got involved in everything from the concept, to the design of the interior to the method of service and the training of staff. “My whole aim was to create an offer that up to Carnivoro opening you only got in the big cities like Manchester, Liverpool and Leeds. And I was looking for something that offered good value with class and style. It had to be a place with its own USP. 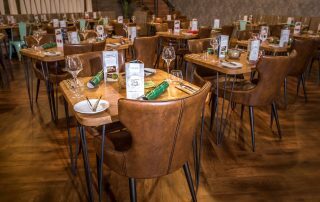 Another trend Tom and Andrew are slowly making trendy again along with other places like Palazzo and the Cork House is by making Burnley town centre buzz with life on nights other than Friday and Saturday. “I wanted to bring people back into the town every night of the week and even during the day. And I’m not only talking about young people who just come out to drink and dance late at night. 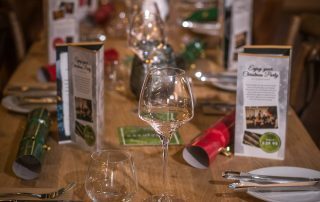 I’m talking about people who want to come out for the full experience of eating good food, enjoying a nice drink and then, especially at the weekend, having a nice dance too,” said Tom, who at the weekend during summer pads up as one of Clitheroe’s top batsmen in the Lancashire League. 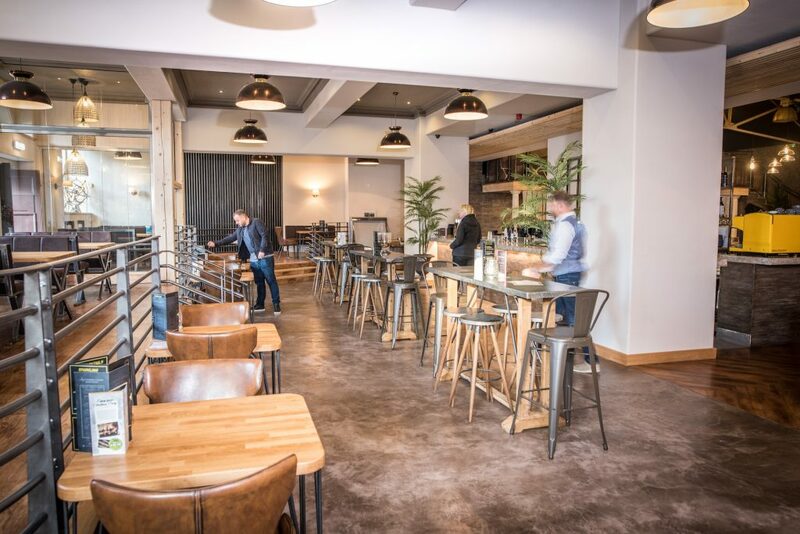 “I did a lot of homework before deciding exactly what it would be and felt that something that fell between the Fazenda and Bem Brazil in Manchester would be our perfect pitch. The main thing I wanted to concentrate on was that USP I talked about. 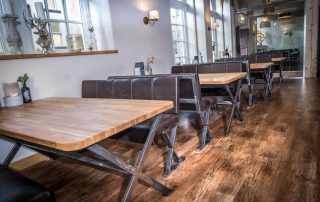 “I wanted the quality of the meat to be right, the quality of service our staff provided to be right and the quality of experience our diners enjoyed to be right. 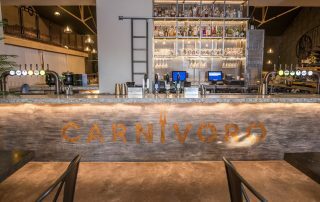 I want people to go home and talk about the fantastic time they had at Carnivoro. 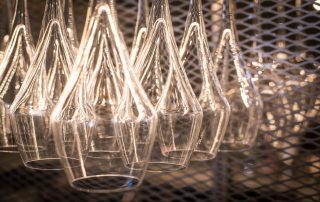 Tom and Andrew have undoubtedly an eye for detail not only on the décor but also on their service. Even the service at Carnivoro takes a radical approach. 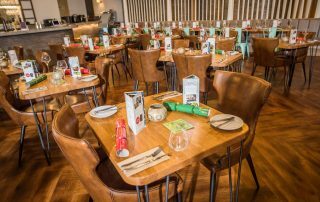 It has floor staff who look after their own section of the restaurant and take ownership in terms of customer attention at individual tables. Then it has runners who provide the drinks for the tables. And finally passadores or meat waiters who move around the tables carving from huge skewers carrying the 15 various meats on offer. And the attention to detail of the décor? “Everything we have put into the building was our idea. 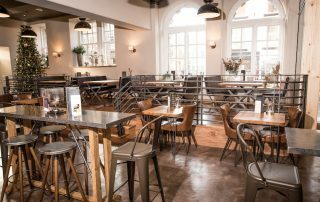 Everything has been made bespoke for the restaurant from the tables and chairs to the lighting to the bar and fittings,” said Tom. Note to self for staff’s sake. Always order bottle of wine from the top shelf! 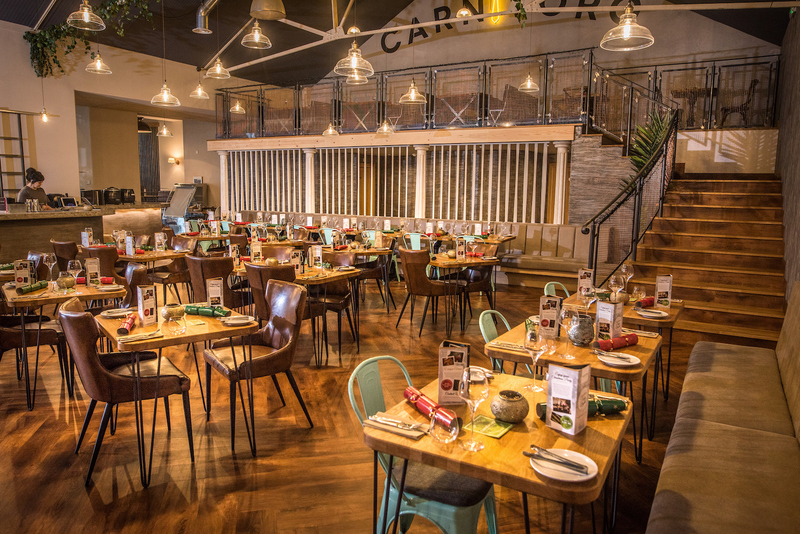 In total Carnivoro employs 30 staff who are looked after by general manager Adam Foster. But amazingly there are only three chefs in the kitchen. Carnivoro is split into three different areas. Two for eating – one on the ground floor and one on a mezzanine floor which has a fabulous view over the whole place. 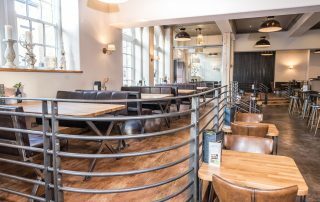 The area between the front entrance and the bar is a party area where people can sit at privately situated tables; stand by the bar or high tables … or hit the dancefloor at weekends. 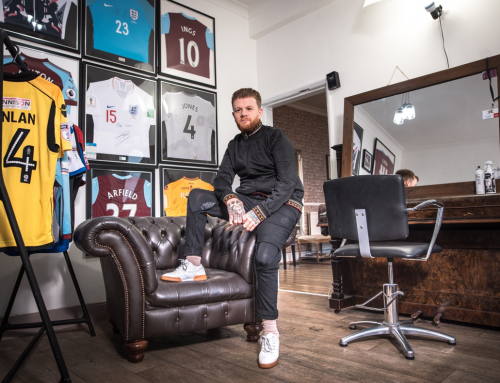 It prides itself in providing exotic cocktails, a variety of gin spectaculars and beer from a micro brewery with its speciality brew The Dyche – in homage to the manager of Burnley. And of course the rum-fuelled Caipirinha! 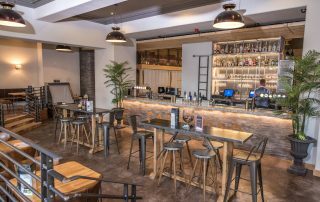 Its wine selection is sourced by a recognised master of wines and come from around the world with an Argentine Malbec being a favourite with steak eaters. 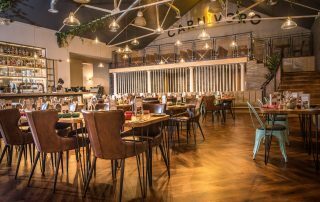 Already Carnivoro has built up a massive reputation and is booked up on Saturdays – that’s 220 diners – for three weeks in advance. Tom believes Carnivoro and Illuminati complement each other rather than compete. “Illuminati offers American-style burgers, hanging kababs, tapas and flat breads and come 10.30pm closes as a restaurant and becomes a music and dance bar until 4am,” said Tom. Another slice of the fillet, please!